The team won the southern regional competition to reach the finals by beating teams including Auburn, LSU and USF. The Gaming Knights from the UCF Recreation and Wellness Center took second place Sunday during the national Rocket League competition at the NCAA Men’s Final Four Fan Fest in Minneapolis, Minnesota. The Gaming Knights beat Rensselaer Polytechnic Institute from Troy, N.Y., to reach the finals, but lost 4-2 in a best of seven series to the University of Akron for the championship. Rocket League is a video game in which three competitors from each team play soccer with cars. The two teams compete in a five-minute game to score the most goals. Players use their skills to make the animated cars do aerial and on-the-ground tricks to get a shot on goal. The team won the southern regional competition to reach the finals by beating teams including Auburn, LSU and USF on the way to winning $7,500. This is the first year for the Rocket League National Championships. 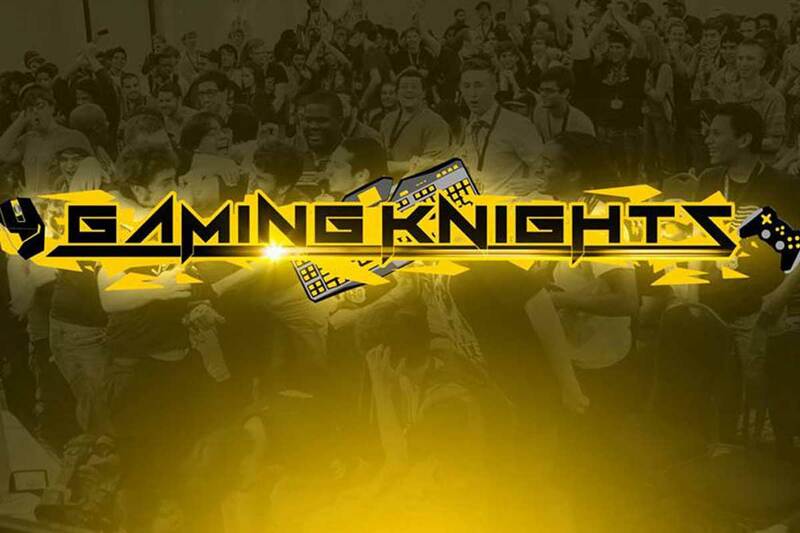 UCF Gaming Knights esports director Kevin Quiroga says the southern conference title proves the club is much more than students who sit around at home playing video games. “It brings a lot of recognition to what we do and legitimizes what we are here for,” he says. The competition was televised for two hours with peak viewership at more than 26,000, Quiroga says. Average viewership was more than 15,000. A 2018 report in Forbes magazine estimates esports is expected to become a multi-billion dollar business this year. The Gaming Knights became an official member of the UCF Sport Clubs Council in 2018.